Slim elegant design uses less freezer space. Includes tray, plastic cover and soft grip handles for making 8 (2 oz.) 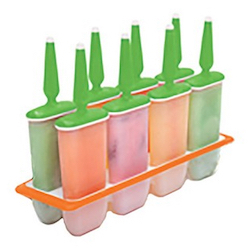 ice pops.